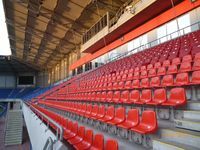 Capacity may be increased to 15 000 if needed. 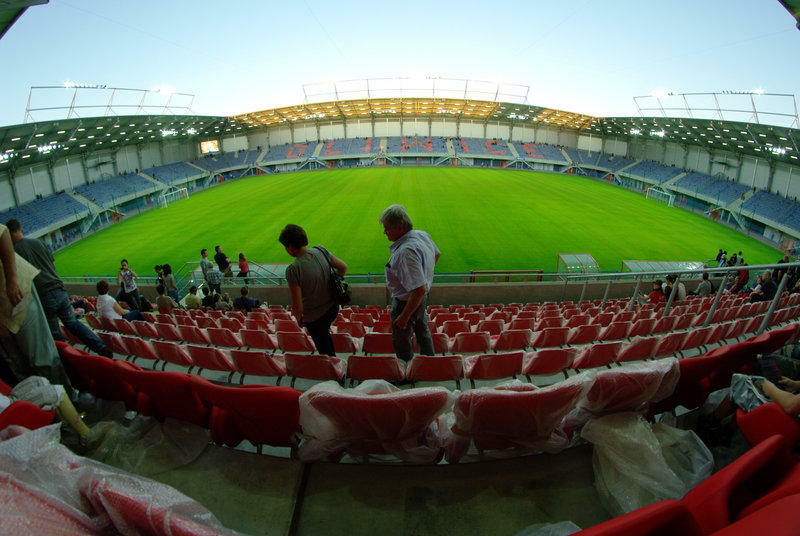 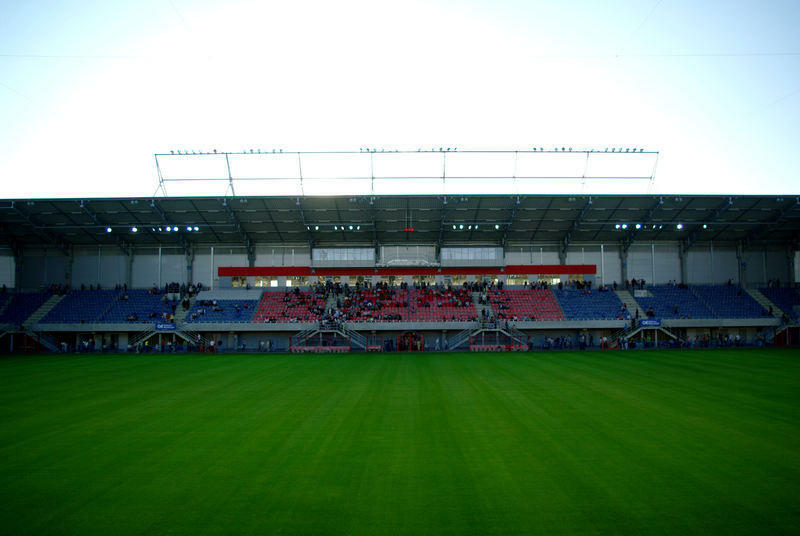 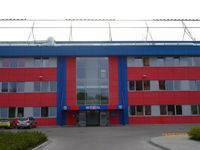 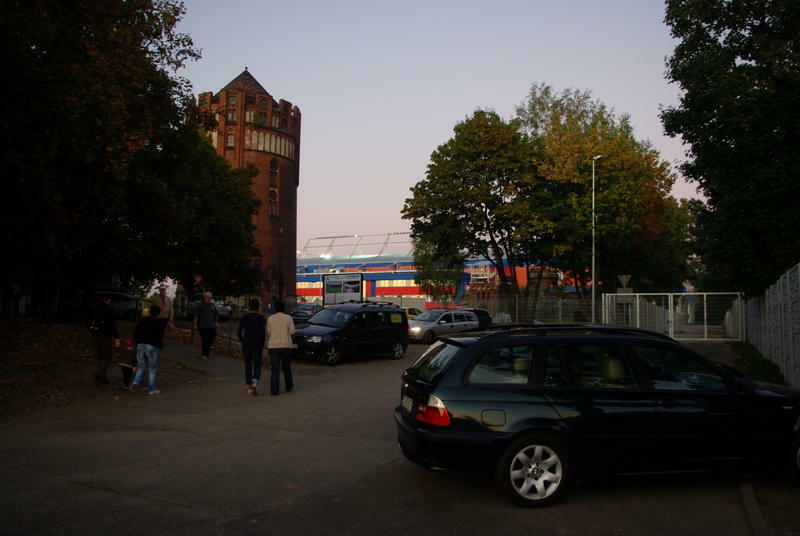 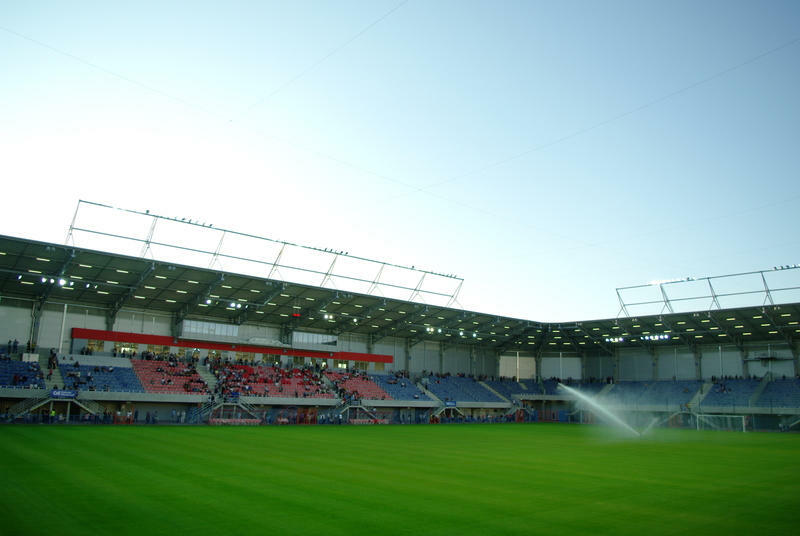 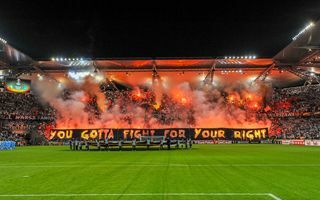 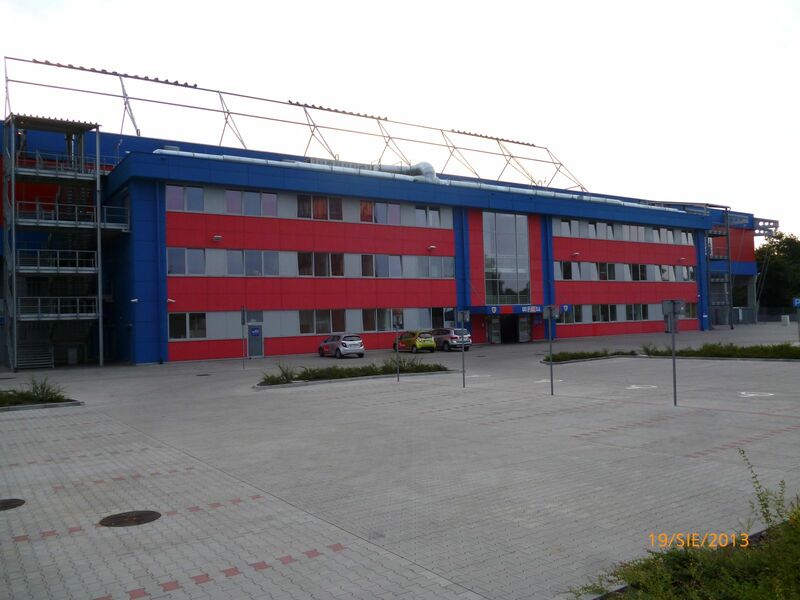 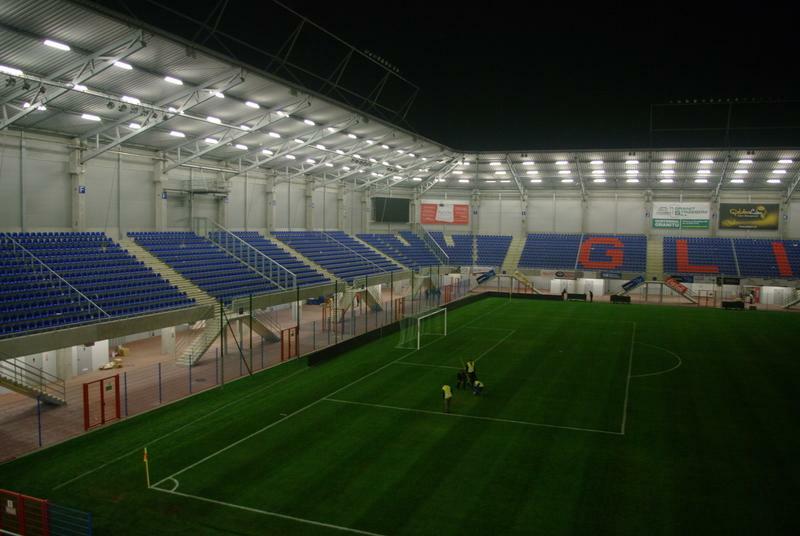 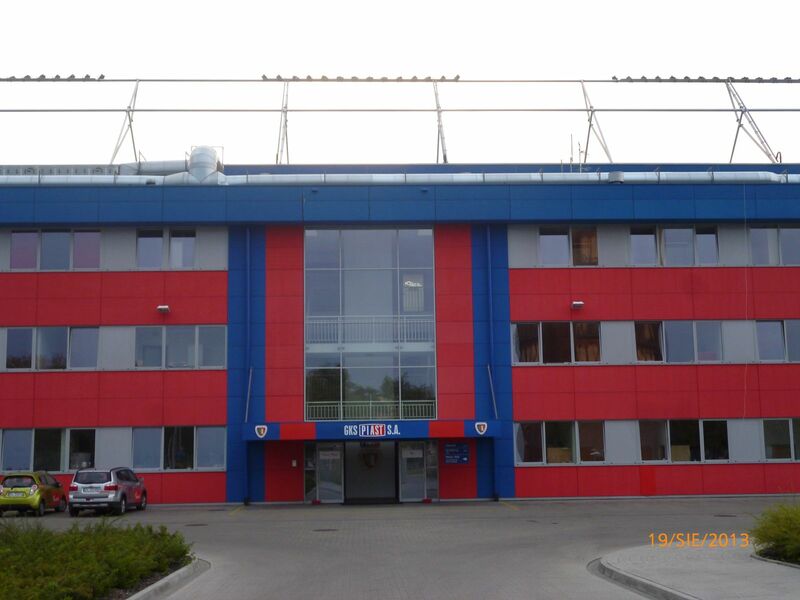 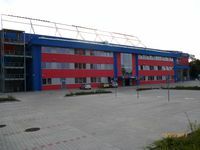 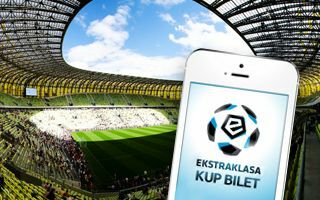 A whole new ground at Okrzei St. was first shown as computer renderings in 2009. 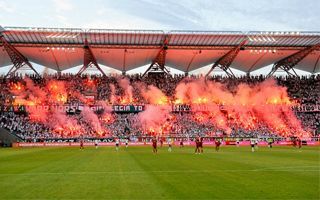 Design was done by German Bremer AG, a company known for producing economy class stadiums. 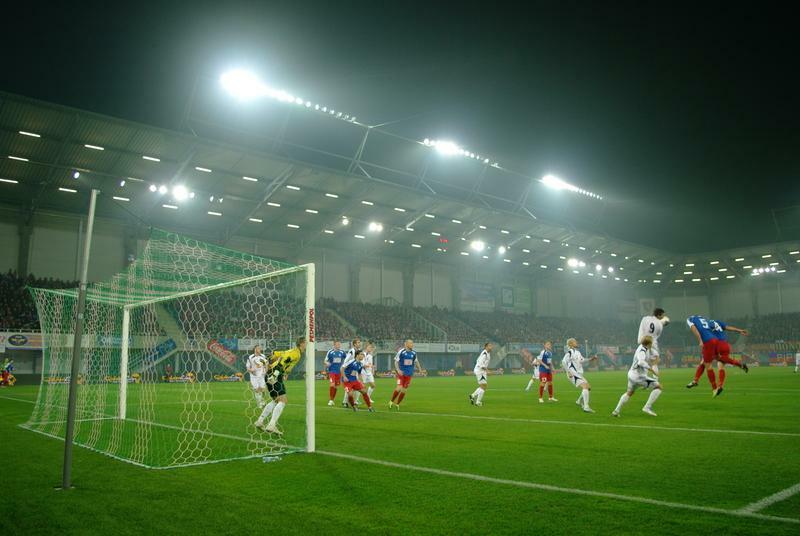 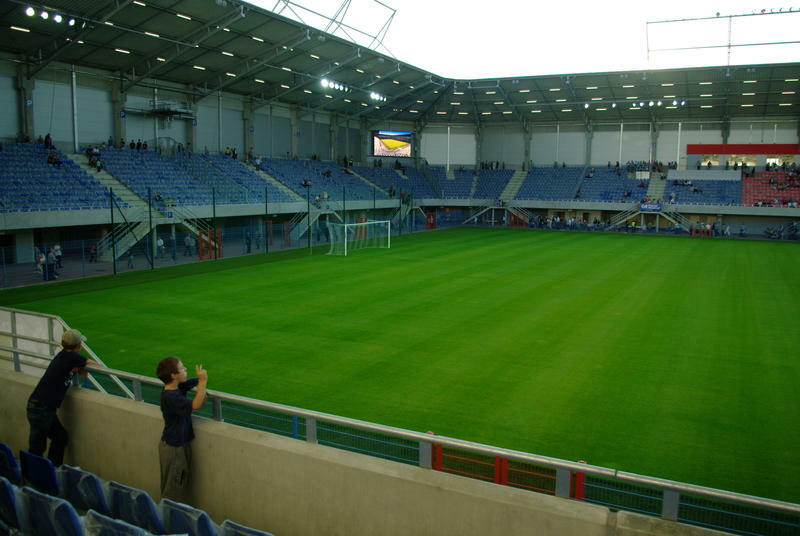 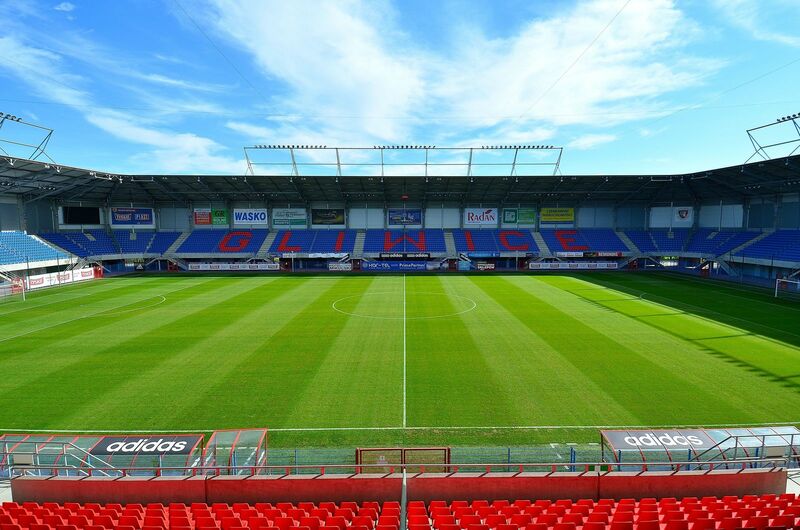 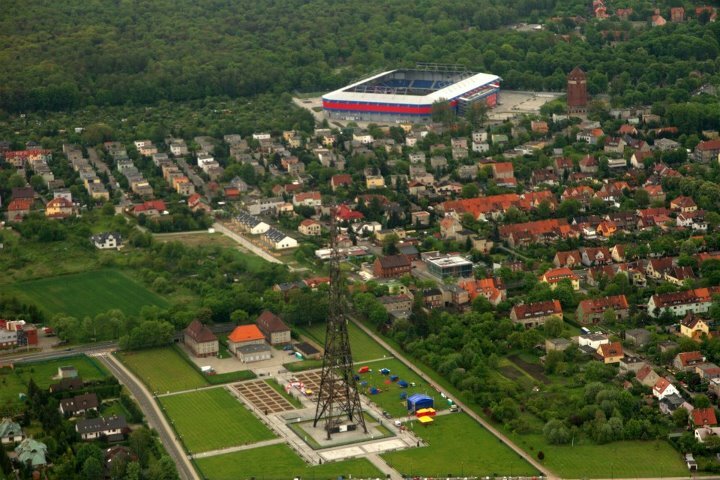 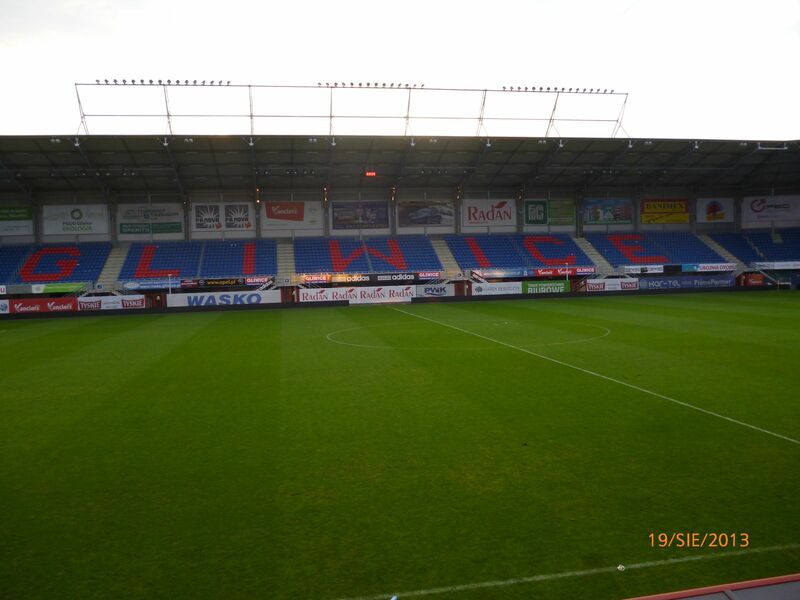 Very low price of the one in Gliwice was also result of it being copy of an already existing venue in Paderborn. 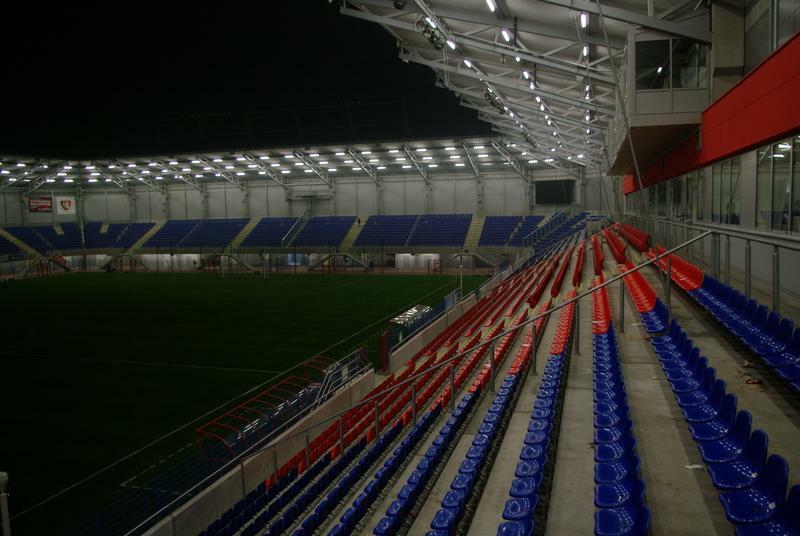 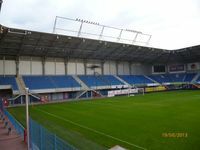 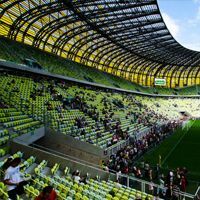 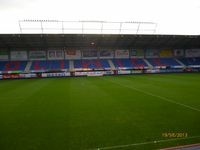 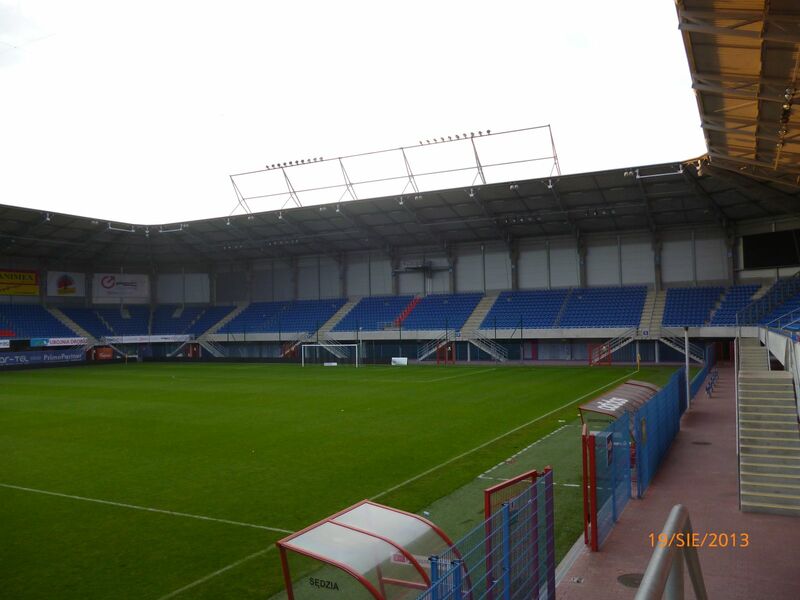 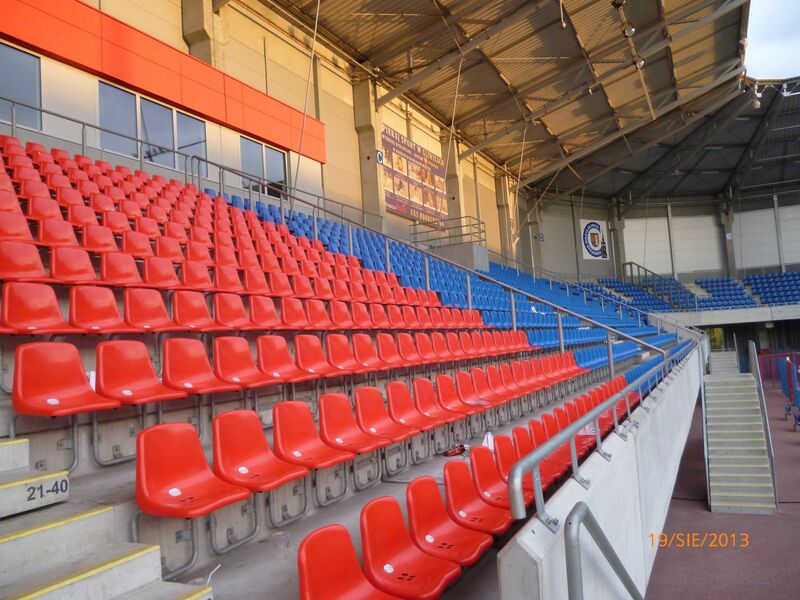 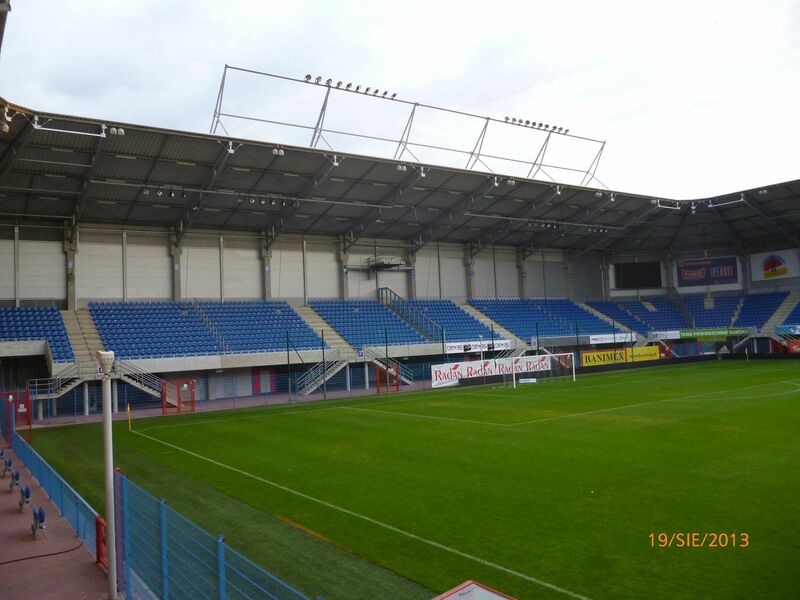 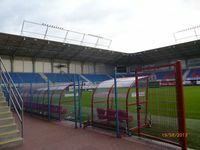 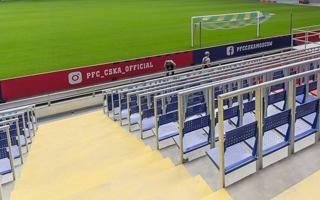 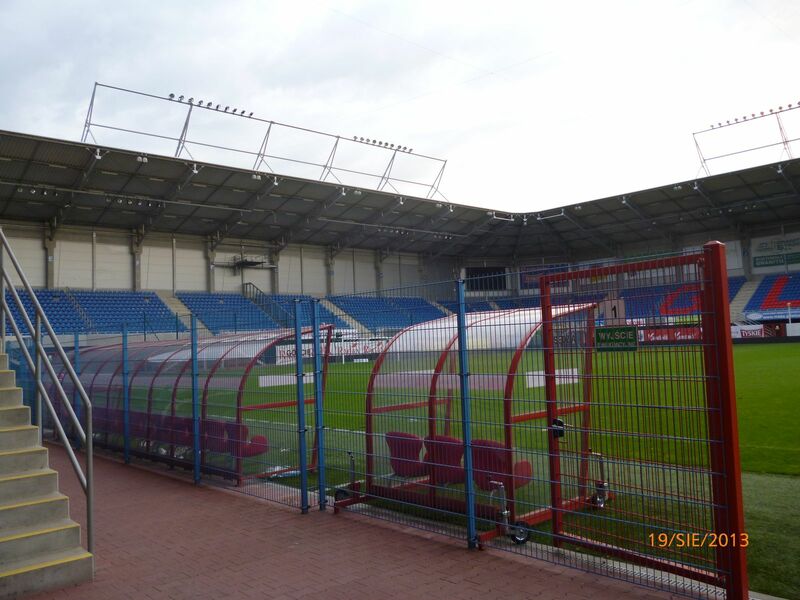 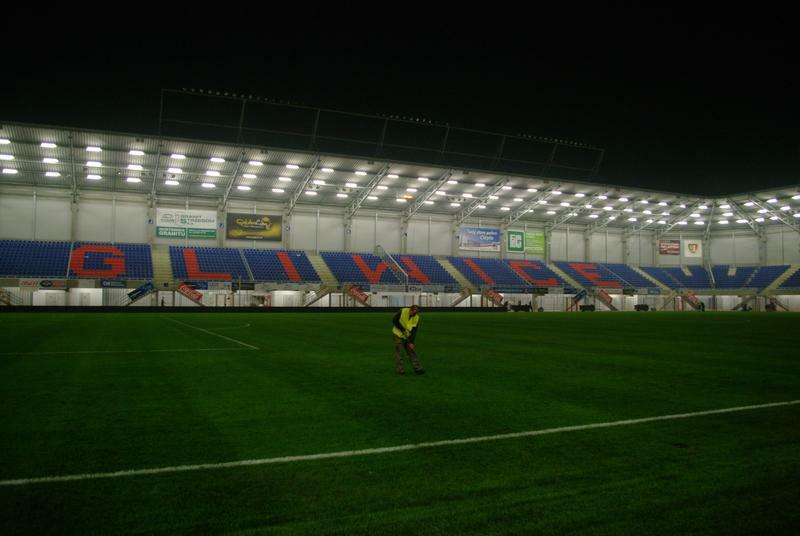 Both have similar single-tiered stands with simple cover that can be enlarged by some 5,000 seats if necessary. 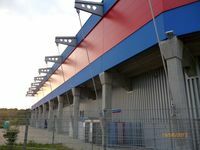 Very simple prefab construction started rising in September 2010 and was already in place with the paintwork around July 2011. 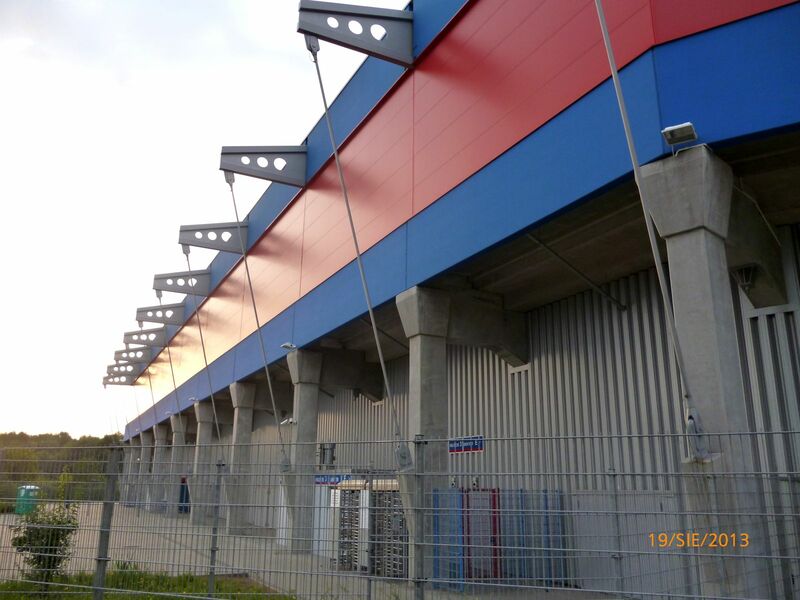 However the contractor was unable to deliver the ground by October because safety regulations were changed and identification/surveilence system had to be redesigned.